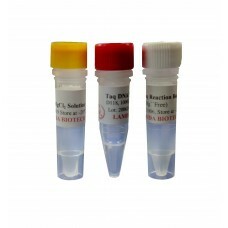 Lamda Biotech is pleased to offer the most popular thermostable enzyme used in DNA amplification experiments. 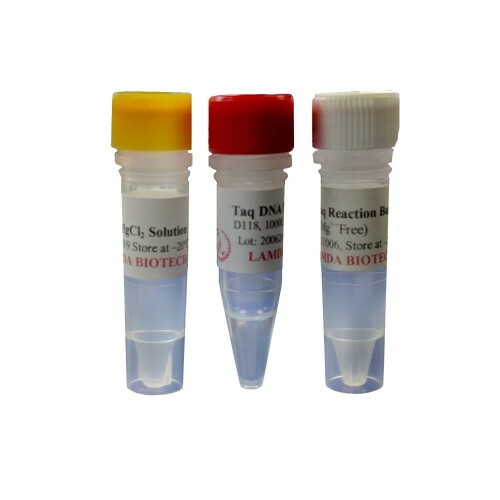 This high-performance Taq DNA Polymerase is specially purified to produce excellent yields with little or no background. Its outstanding activity and unique thermal DNA amplification properties make it one of the most economic DNA polymerases available. Comparison of an amplified 1.3Kb mouse gene fragment using Taq DNA polymerases. 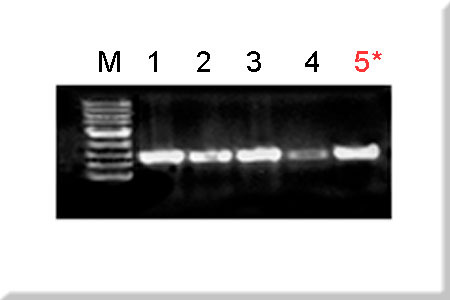 Lane 5: Lamda Biotech's Taq DNA Polymerase.